It has been 2 days since the auspicious time of Navratri marked its beginning. While some of us fast for the first and the last day of Navratri, there are some people who religiously fast for the complete 9 days in a row. Each of the nine days is dedicated to the nine forms of Goddess Adi Shakti. 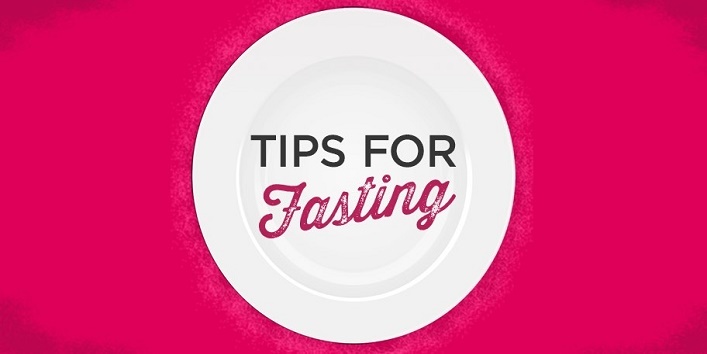 It is believed that fasting during this time can cleanse your body and boost your immunity for the upcoming seasons. This is the reason why Navratri is observed two times a year; one at the onset of summers and the other at the beginning of winters. But while following the rules of fasting, you are ignoring your health greatly. Fasting shouldn’t be in a way that harms your body. 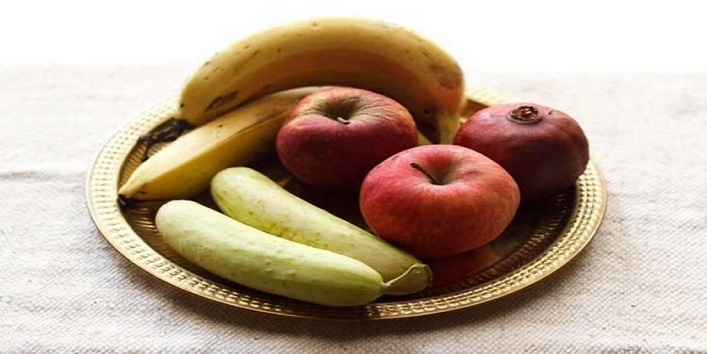 So here are some health tips to follow while fasting. 1. Don’t starve yourself in the name of fasting. Have small meals at regular intervals. This will help maintain the glucose levels in your body. Your body needs the energy to go through the day. So don’t overlook this fact. 2. Keep yourself hydrated, unless you’re having a waterless fast. You should drink a lot of water. You can also drink coconut water, green tea, buttermilk and lemon juice to maintain the levels of electrolytes in your body. 3. 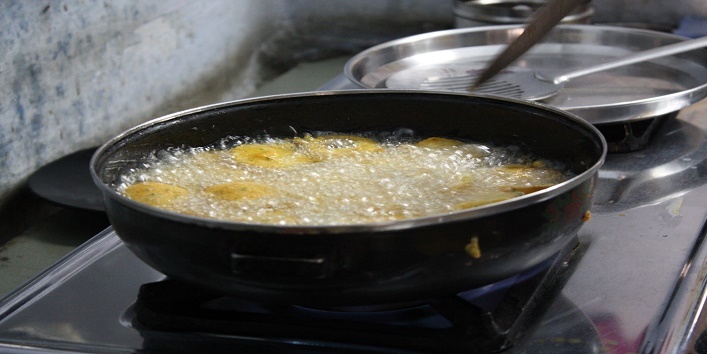 Lots of fast recipes involve deep frying. But try to have the baked or roasted meals during fasting. You can eat grilled vegetables for fast. 4. 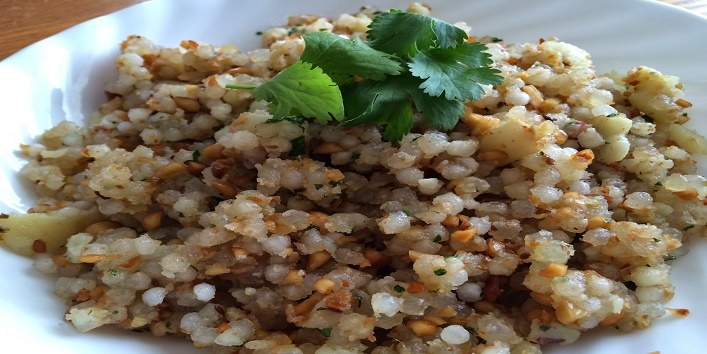 Amaranth (or Chaulaayi) is a great source of protein. So it is advised that you consume large quantities of Amaranth during the fasting period. You can whip some Amaranth in milk and have it as a breakfast. You can also add some vegetables if you allow yourself to have veggies during the fast. 5. 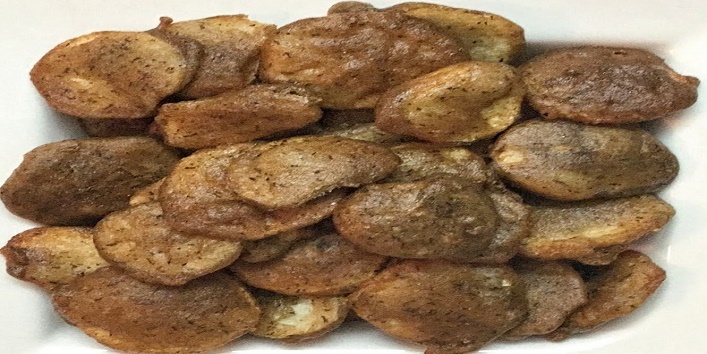 You can pair some carbohydrate-rich foods like Potatoes and Sabudana to make a power packed meal. You can also add some fibrous vegetables like capsicum, spinach and tomatoes. 6. Kuttu is a flour which is used primarily during the fasting season. 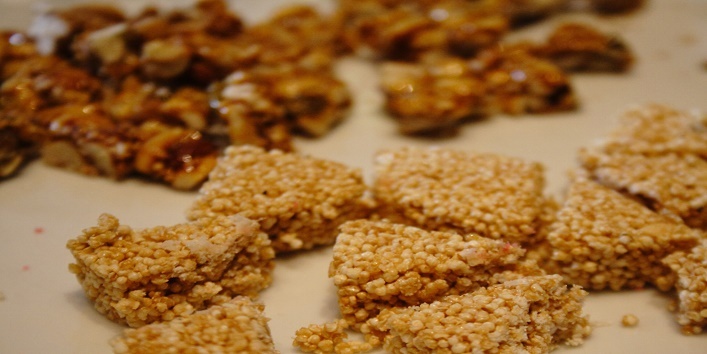 It contains rich quantities of carbohydrates and protein as well. You can prepare chapattis with Kuttu instead of making puris out of it. 7. Samak rice is abundantly used during the fasting. 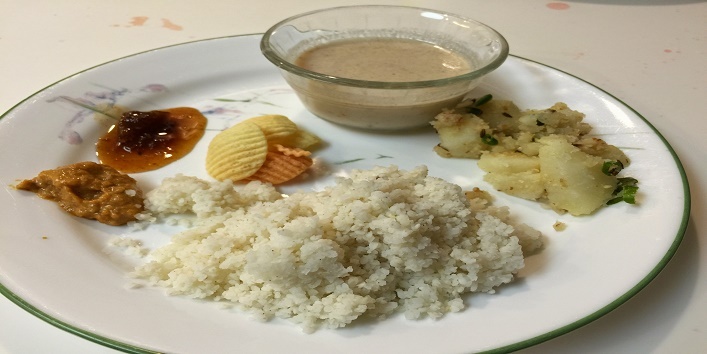 You can prepare the Samak rice with your potatoes sabzi. This can be a healthier alternate to the oil-dipped puris. 8. If you’re craving for something sweet. Then you can eat fruits, dates and curd with sugar. 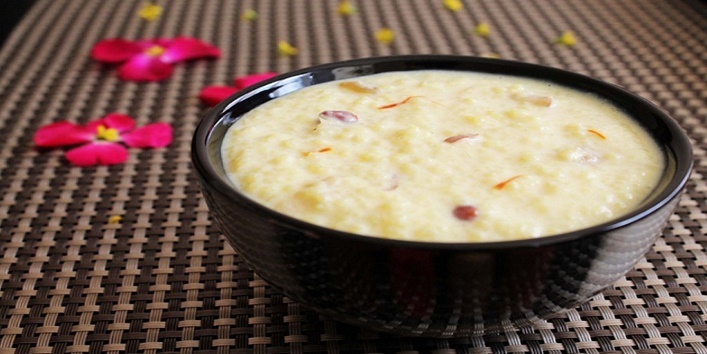 You can also prepare Kheer using the Samak rice. 9. Have small but power packed snacks during the daytime to avoid over-production of acid in your gut. The so-called fast namkeens are very high in salt contents. Steer clear of them. 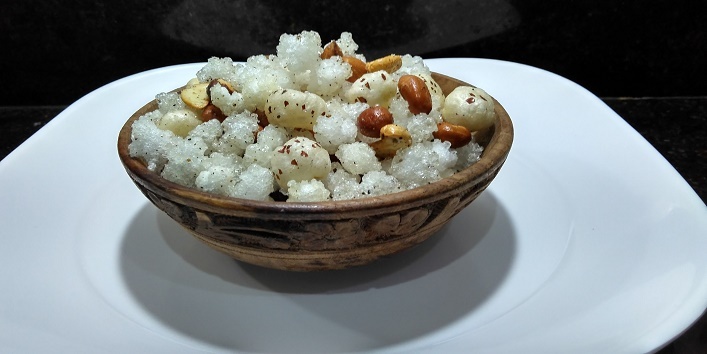 You can prepare your own namkeen at home using the Makhana and peanuts. 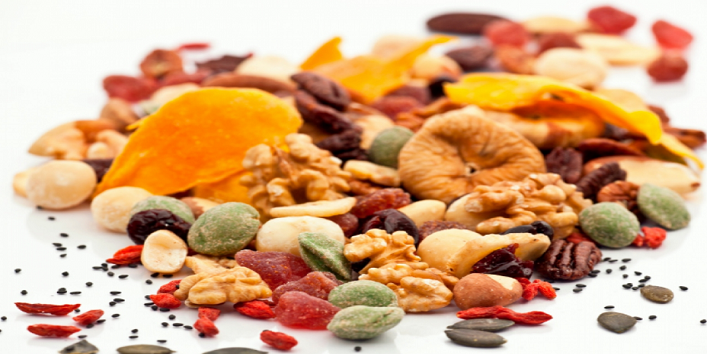 Munch on some dry fruits for instant energy dose. 10. Don’t consume too much of refined sugar. 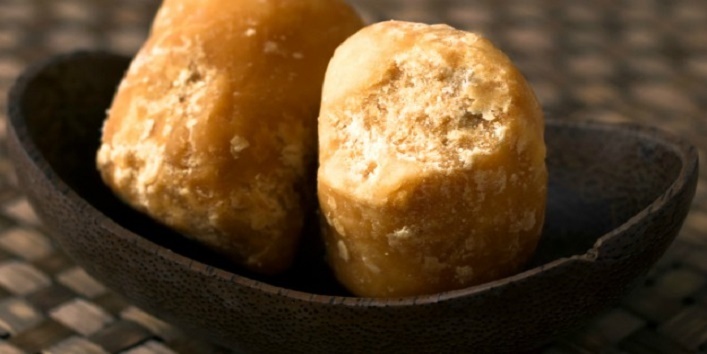 Use jaggery and honey to sweeten your milk or tea.